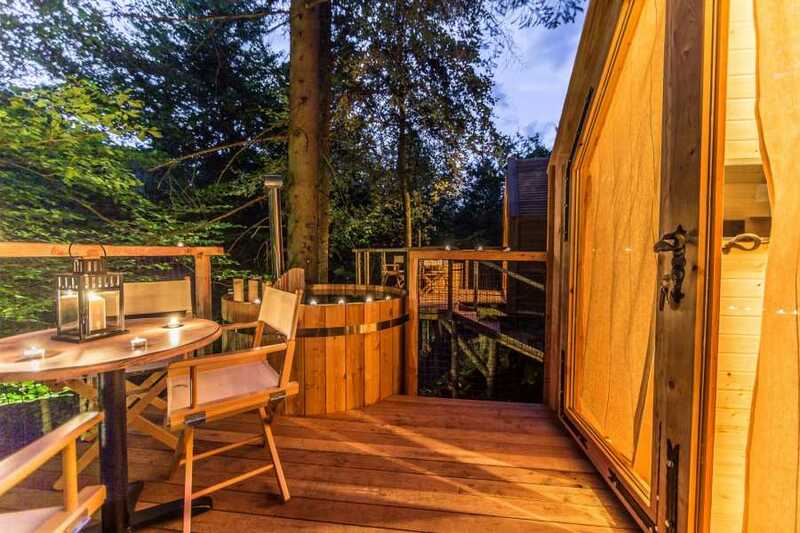 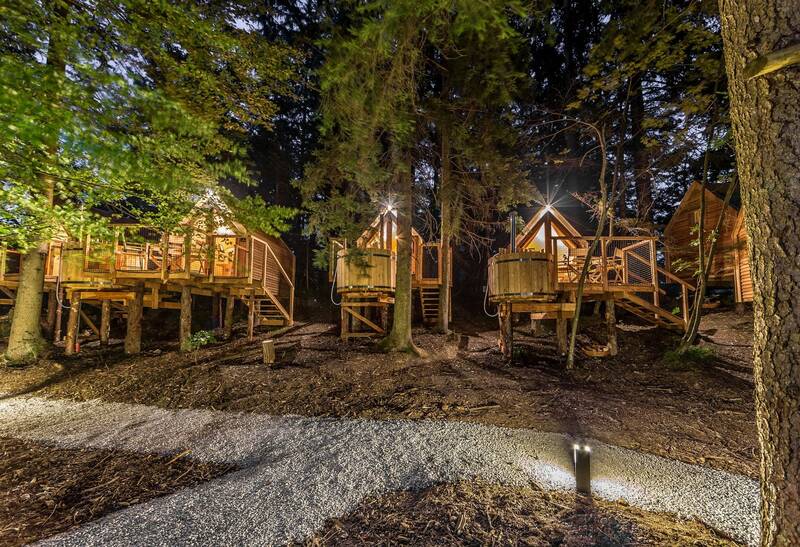 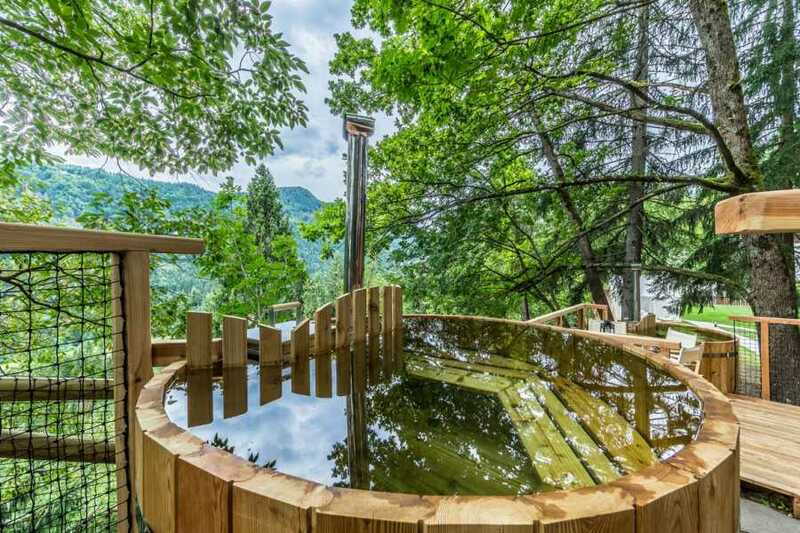 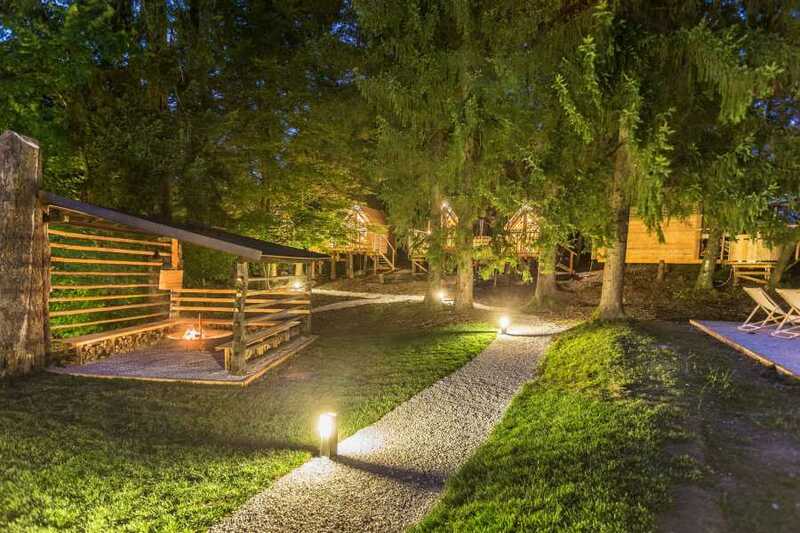 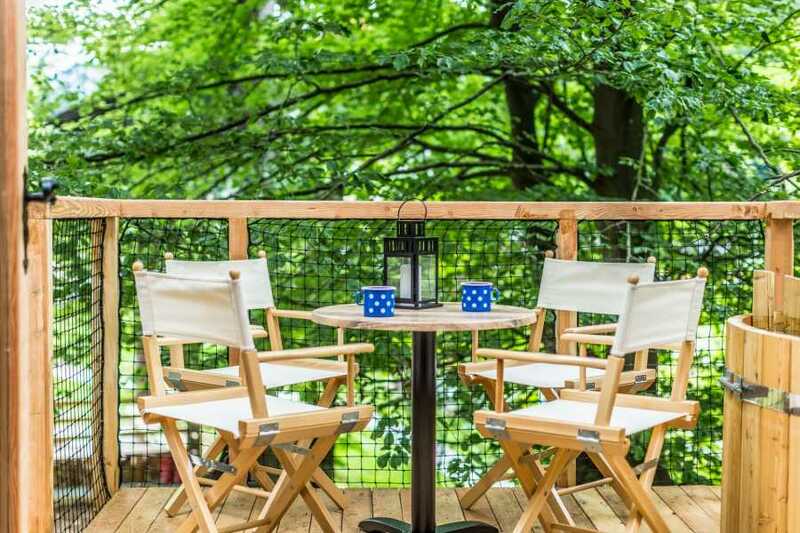 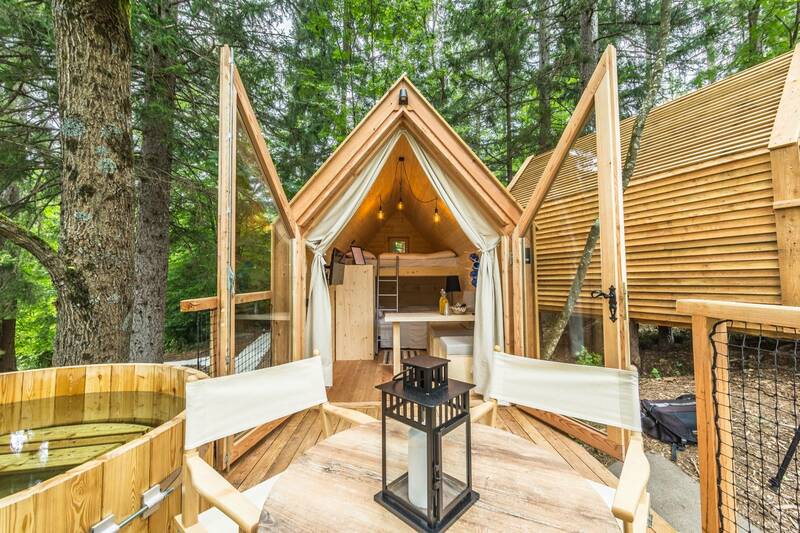 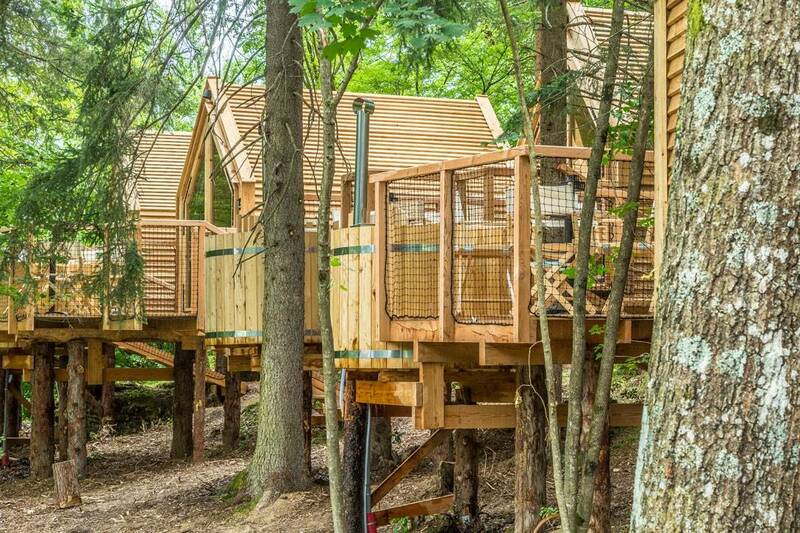 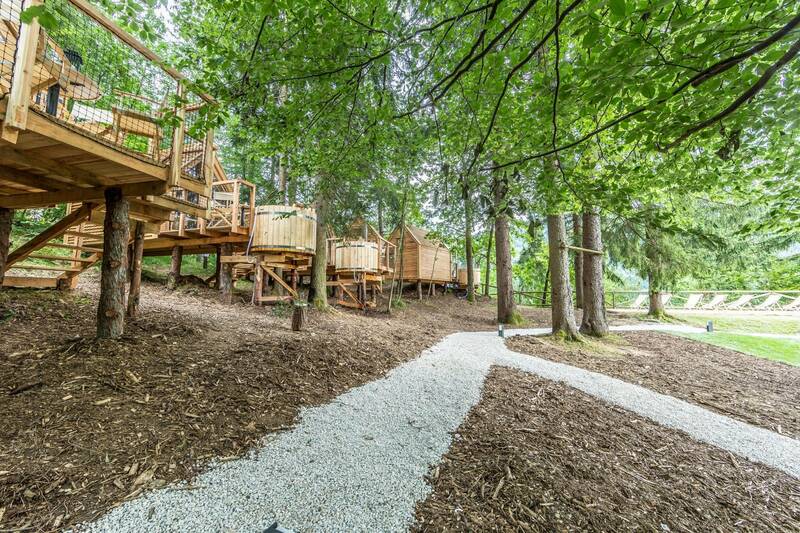 Glamping Bled it's the quintessential Slovenian oasis , it consists of 6 cozy Slovenian houses nested in a superb location, not far from the lake,and in the midst of green spruce forest and blue Sava river. 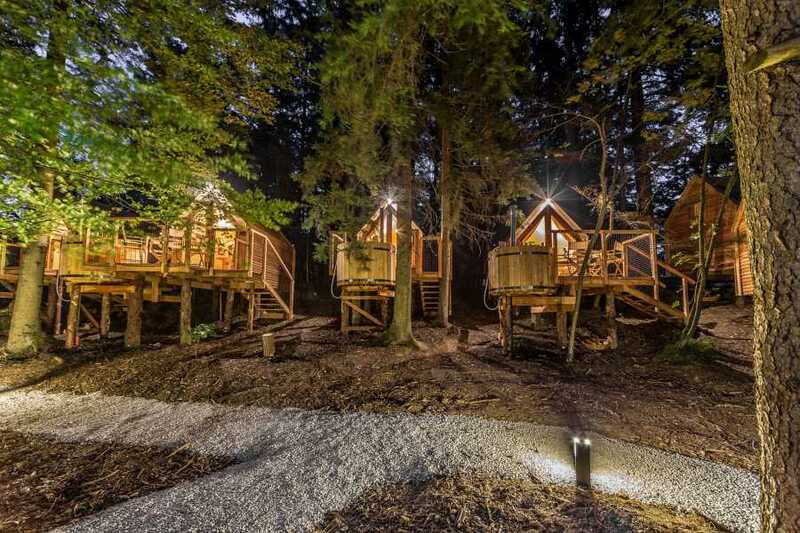 Built under the trees they are all made from Slovenian wood and by Slovenian craftsmen. 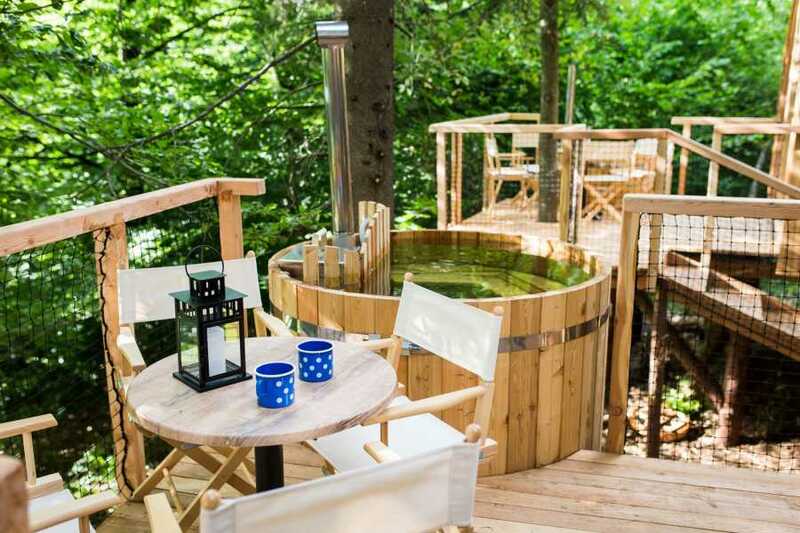 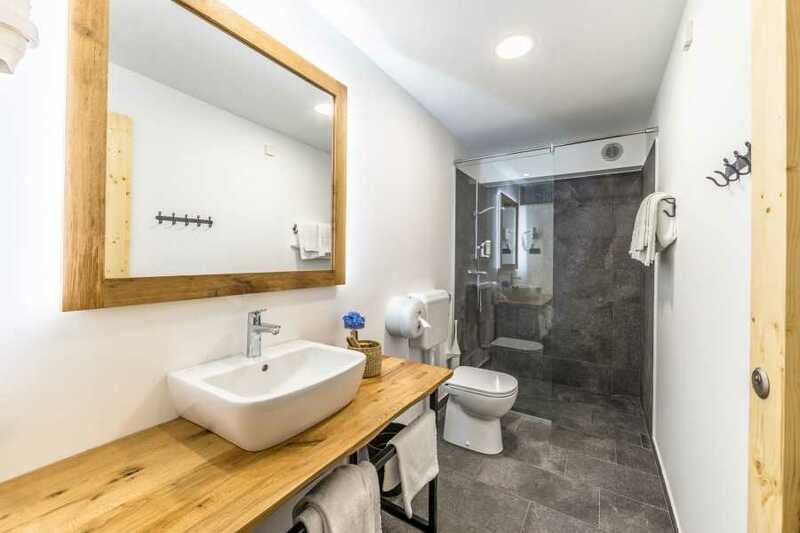 Comfort is provided by cozy interior,private wooden hot tub and bathroom,sauna, common area with fireplace and outdoor massage parlour with spectacular view. 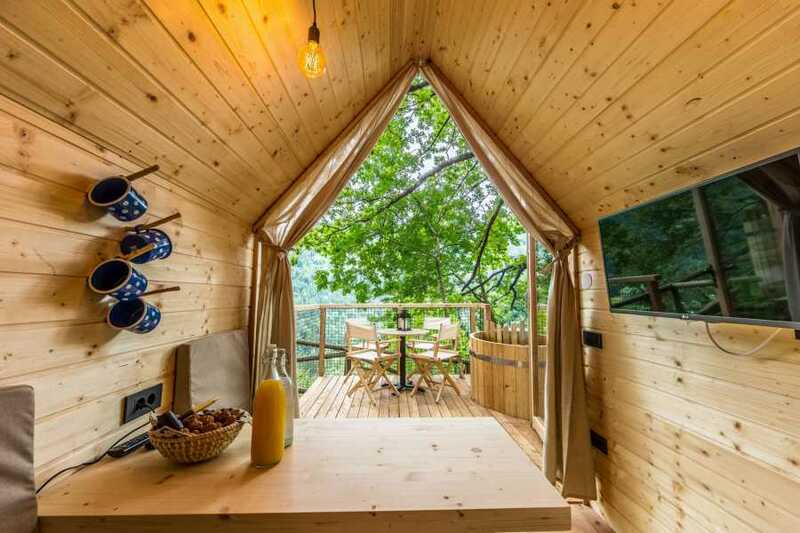 Houses are suitable for up to 4 people. 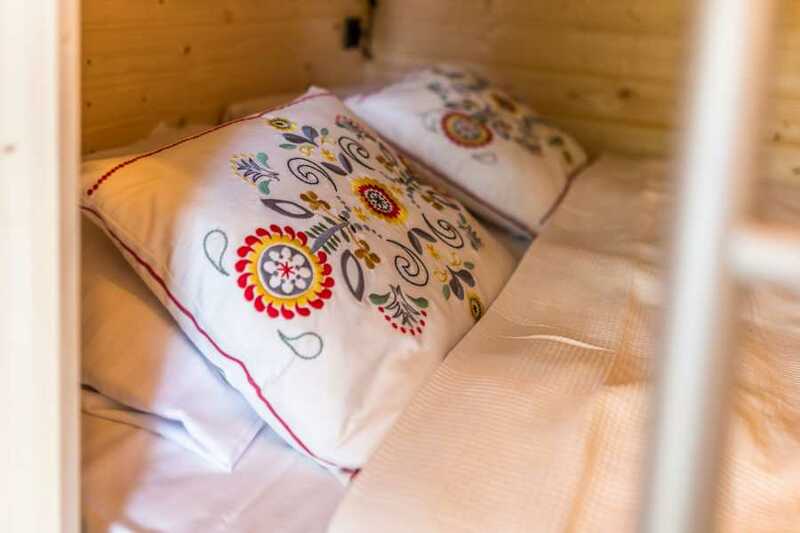 Since they are insulated and equipped with heating they are suitable for stay throughout the whole year. All the houses have Wi-Fi and cable tv,private bathroom with shower ,toilet and sink separate from the house. 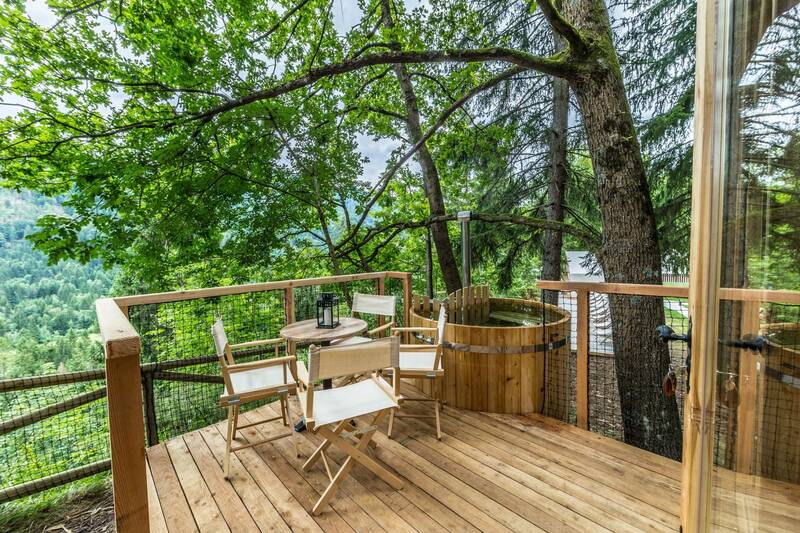 a Stay in a tree house ...is more than a Camping, but a truly experience with nature at heart..